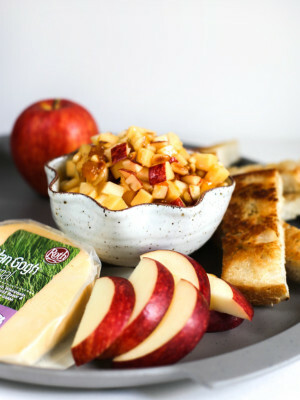 Place apples and cheese in small bowl. Add mustard, pine nuts, preserves and seasoning. Stir. Let mixture rest for a minute for the flavors to blend. 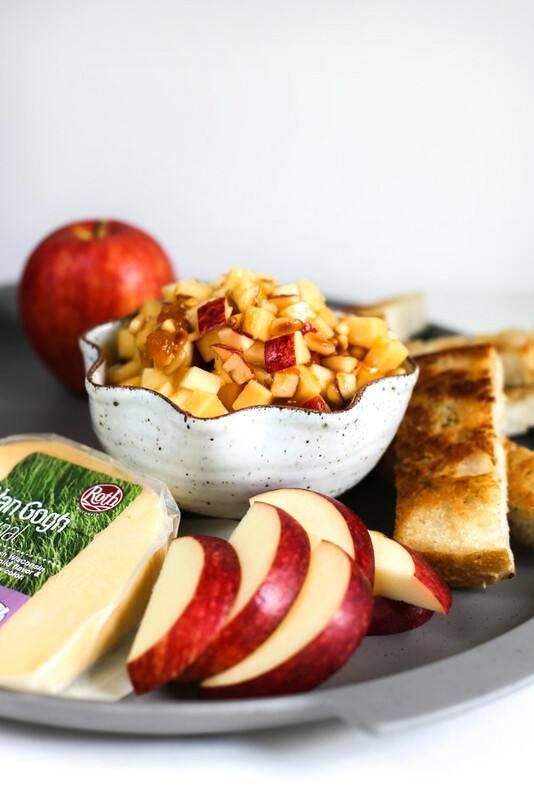 Serve with thick Gala apple slices or crackers—or both!